When 2010 began, Gold City introduced a new line-up of familiar faces with the addition of tenor Josh Cobb and pianist Roy Webb. As mentioned in the earliest days of this re-organization of the quartet, Roy was on board in a temporary role to help develop Gold City’s future plans. During this time, Roy maintained a schedule of selected solo dates, with the intentions of one day returning to a full-time solo career. That day has arrived, and Gold City is searching a for a new pianist. Anyone interested in being a part of a 30-year ministry is encouraged to send a resume and demo to Gold City, Attn: Jason R. Maise, P.O. Box 2100, Gadsden, AL 35903 or via email at jasonrmaise@yahoo.com. “It has been a pleasure to be involved with Gold City,” says Roy. “I wish them much success and I believe that this group is truly one of Southern Gospel music’s all-time great quartets. “However my heart is in my solo efforts and that’s where I feel I need to be. So it is time to make the move.” Roy’s scheduling will be handled through The Beckie Simmons Agency. “We wish for nothing but the best for Roy,” adds Gold City’s Daniel Riley. “Roy’s contributions to this group have been numerous and they are greatly appreciated. “In the meantime, we look forward to the next person God will put in our path. We’re excited about what may lie ahead for us.” Personal appearances for Gold City are also scheduled through The Beckie Simmons Agency (www.bsaworld.com). It seems the “Singing News cover curse” strikes again. For those who don’t know what I’m referencing, it’s a running joke that, like the “Sports Illustrated cover curse” in which the player featured on the cover usually suffers a serious injury afterwards, any group featured on the SN cover is usually due for a lineup change. Gold City was on the August 2010 edition. Roy built quite a following with Ernie Haase & Signature Sound, and even more so with Gold City. While he will be missed, his contributions towards Gold City’s image and sound will leave a lasting mark, and his fan base is big enough that his solo ministry should do well. The obvious question on everyone’s mind now is this: who will the new player be? I have a feeling it may be an “unknown,” but it is certain that whoever is picked will be an asset to what the group is doing now. Wishful thinking, perhaps, but I would love to see Garry Jones on the piano bench with the group again. His arranging and producing with the current vocal lineup is a match made in Heaven. I’ll admit, I’m a casual fan of The Hoppers. Other than the occasional iTunes purchase of some of their more well-known songs and stuff they’ve done that I heard and enjoyed, I’m not all that familar with their work. I am, however, familiar enough to know that they have maintained a solid sound for the past few years, and this collection of songs is no exception. The project opens with two upbeat tracks to grab the listeners attention. “Victory Shall Be Mine” has the typical orchestrated, driving sound that the group is known for, and “Oh How Amazing Is Amazing Grace” features a New Orleans big band style. On the other end of the spectrum, the title track is a big ballad that was originally done by male quartet Mercy’s Mark. The Hoppers take a more epic, ponderous approach to it than that group did, featuring the whole group on the first verse, Dean Hopper on the second, and Kim Hopper on the third verse, all the while building to the powerful chorus. What truly separates this version from any other, however, is Connie Hopper’s recitations sprinkled in between the verses, which fit in perfectly with both the lyrics and the sound of this song. 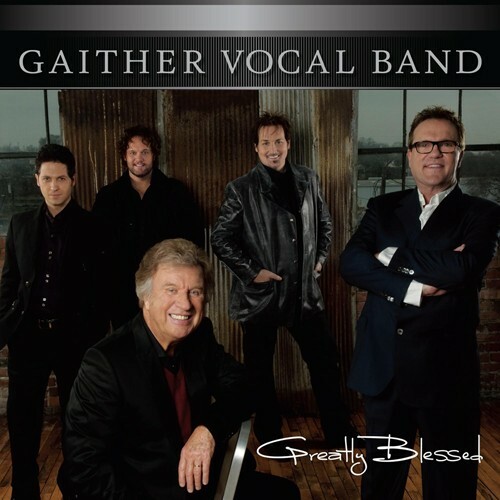 The other covers on the project include another Mercy’s Mark song, “Living In The Arms Of Mercy,” which is given a more traditional treatment this time around, and the GVB hit “On The Authority,” which is considerably jazzier than the Vocal Band rendition. The former features drummer Mike Hopper stepping behind the mic, and the latter, Dean Hopper. A Southern Gospel classic, “I Know Who Holds Tomorrow,” is also redone, and is slightly faster than most versions I’ve heard. That track features Claude Hopper in his only solo of the album. Some of the other memorable songs from this project are “Nobody’s Too Bad Or Too Good,” which features Dean and Kim Hopper’s daughter Karlye, and is both well sung and well written, and “East of Jerusalem,” a big slow number that features Kim Hopper, and manages to be a great song in its own right without any sort of nod to the group’s hit, “Jerusalem.” The final song, “Statement of Faith,” features all the same vocalists that are on the version found on the Legacy Five project, Just Stand. Final thoughts: In the world of modern Southern Gospel music, the names Lari Goss and The Hoppers are almost synonymous. Goss is once again behind the producer’s chair for this latest project, and the combination once again turns out a fine body of work. While not exactly exploring groundbreaking material for the group, this project sticks to the tried-and-true sound that The Hoppers have attained over the last few years, while still throwing in a few unique numbers to add flavor. One thing you can say about this group is this: they are consistent in the quality of their material. “If it ain’t broke, don’t fix it,” indeed. Bottom line: Fans of The Hoppers, or quality Southern Gospel in general, will enjoy Something’s Happening. Ever since it had been let out of the bag that Ernie & crew would be doing “We Shall See Jesus” on their Cathedrals tribute project, speculation ran wild as to what the arrangement would sound like and who would be featured, as Haase did a good job of keeping both under wraps. Since the recent video taping, it was revealed that the featured soloist is none another than lead singer Devin McGlamery, in his first major project with Signature Sound. Although it’s been said that a video of Glen Payne taking the third verse was shown at the taping, this Youtube clip shows McGlamery taking the song all the way through. This is the first time I’ve heard Devin really let loose with this group, and he does an incredible job of both doing justice to Payne’s performance and making it his own.